A cataract is the gradual change of the small lens in the eye – about the size of a shirt button – that is located behind the colored part of the eye called the iris. Typically, the lens is crystal clear when we are young, and later in life it can gradually develop a brownish-yellow tint. 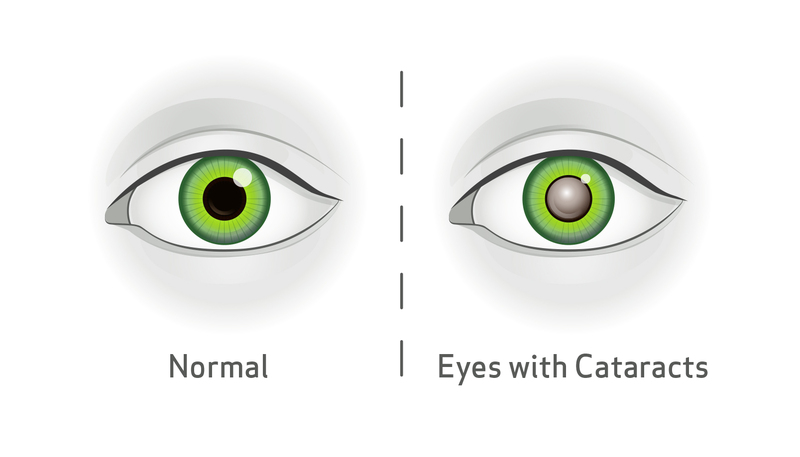 What is the result of cataracts? The onset of cataracts is a very gradual process. The change is not generally noticed until the cataract is more advanced. 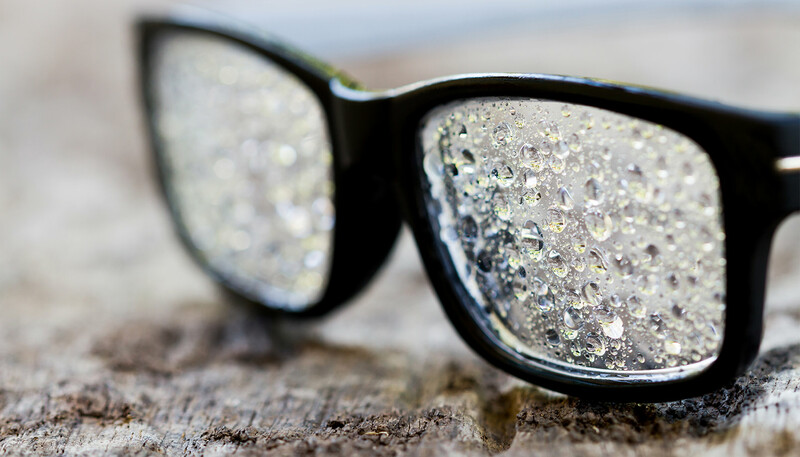 Often, people may eventually notice several changes: night driving is more difficult as a result of glare and halos (especially in fog and rain), needing more light to read, and a general loss of vision sharpness. Aging, smoking, sun UV exposure, diabetes, eye inflammation, long-term steroid use, hereditary factors, eye injuries, excessive computer and device blue-light exposure, and eye diseases. Cataract development is somewhat of a normal process of life, however the degree and severity may be lessened by these precautions: wearing sunglasses with UV protection, not smoking, and eating a healthy diet rich in antioxidants. New research is indicating that blue-light filtering lenses are also beneficial for individuals who spend a lot of time using devices with screens. I may have cataracts. What do I do now? Start with a complete eye exam. On some occasions, a new vision prescription may improve vision and help lessen the impact of cataracts. In other instances, there may be other factors causing the cataracts that need medical management, such as diabetes or eye diseases. Your doctor will evaluate your cataracts and, if they are dark and dense enough to require it, refer you for cataract surgery. How difficult is cataract surgery? The surgical treatment for cataracts is a modern medical success story. Cataract surgery is an outpatient surgery that generally only takes a skilled surgeon about 20 minutes per eye to complete. The recovery is easy, and involves no blood or stitches. The cloudy cataract is removed, and a clear lens implant is placed in the eye. The result is brighter, sharper vision. Often, people find that after cataract surgery, their need for distance glasses is greatly reduced, if not completely eliminated. There is no reason to suffer with the frustrations caused by cloudy or dim vision. If your quality of life is impacted, if you avoid driving at night, or if you find your enjoyment of hobbies is declining due to vision-related frustrations, it is definitely worth having an eye exam to check your vision and eye health, and evaluate your eyes to see if you have cataracts. See well and enjoy life!